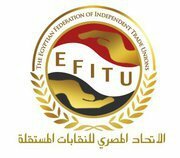 The Egyptian Federation of Independent Trade Unions will fight with all its strength against attempts by the forces of counter-revolution to ignite sectarian conflict. We see the Egyptian people, Muslim and Christian, as part of a single fabric, with equal rights and duties. However, we are concerned that incitement to sectarian strife is diverting the revolution from its correct path, as the trick of inflaming sectarianism was one of the principal means used by the old regime to distract our people from defending the rights which Mubarak and his men stole from them. Those who used live bullets today, and crushed Egyptian youth under the wheels of armoured cars used the same methods of the criminal Hosni Mubarak in an attempt to abort the revolution. The Egyptian Federation of Independent Trade Unions believes that the slide into sectarian strife will cost Egypt dear in the blood of her children, both Muslim and Christian. We must not forget that the workers of Egypt are Muslim and Christian and they have fought together to claim their rights. We have a Muslim Prime Minister and a Christian Finance Minister, and Egyptian workers make no distinction between Muslims and Christians who are supporters of the regime. We appeal to our fellow workers in workplaces across the country to put out this fire that the enemies of the revolution are trying to light, and we call on the independent unions and their rank and file to contain and extinguish this unholy fire before it burns our beloved Egypt, and to direct all our efforts and anger against those who insist on keeping the system which steals from us, without any change. October 13, 2011 in Egypt, Statements.